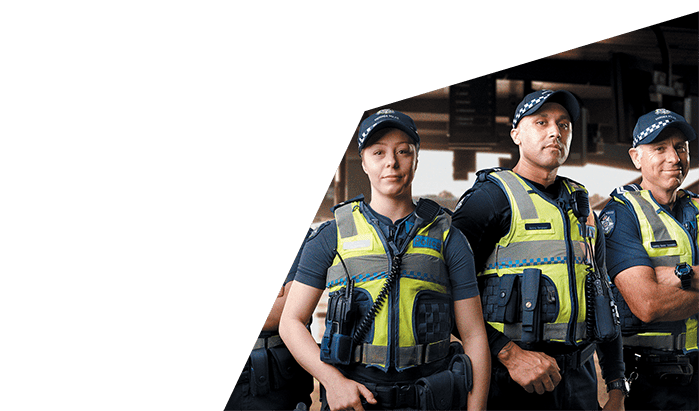 Victoria Police provides policing services to the Victorian community across 54 Police Service Areas, within 21 divisions and four regions. When it comes to choosing an exciting new career, it’s not just about who you are, but who you’ll be. Here are some things to consider before choosing which role is right for you. The safety of Victorian road users is a significant priority for Victoria Police and partner organisations. Standing independently of Victorian Government and Victorian Police, our vision is to reduce crime and make Victoria a safer place. Crime Stoppers works alongside all segments of the community. From the largest collection of Kelly Gang armour in Australia to forensic evidence from some of Melbourne’s most notorious crimes, the Victoria Police Museum is a unique visitor experience. Graham Ashton has been a police officer for 37 years. He was regarded one of Australia’s most experienced counter-terrorism police officers before becoming the 22nd Chief Commissioner of Victoria. VicEmergency channels provide a centralised location for Victorians to access emergency information and warnings. Warnings and incident information are published through VicEmergency channels. Victoria Police is running a recruitment campaign through 2019. Find out what a day in the life of a Police Officer looks like. You're more suited than you might think. In partnership with the community, Victoria Police is dedicated to robust firearms, weapons and private security licensing and regulation. Find out how to apply for a licence and keep up to date with what's happening in these industries.